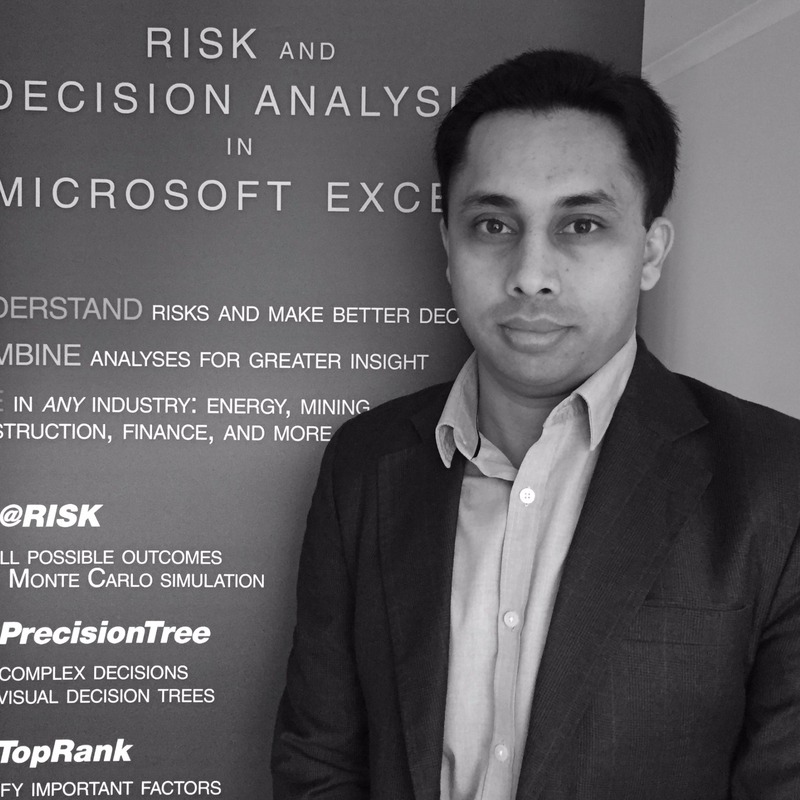 Aman is passionate about demonstrating how easy and necessary it is to implement quantitative techniques in business decision making, such as Monte Carlo simulation and Optimization, in various industries such as Management Consulting, Insurance, Banking, Asset Management, Engineering/Construction, Manufacturing, etc. Aman’s interest in decision modeling using Excel fascinated him to start a sales & business development role with Palisade in 2012. Though his previous experience of about 8 years had been in a sales role in various companies in India, he acquired a keenness for statistics and financial modeling in Excel when studying part-time for his Post Graduate Diploma in Capital and Financial Markets from IIFT, Delhi. He also studied for the CFA Level 1 program which he cleared in 2011. At Palisade, Aman is responsible for looking after sales & business development in key regions such as the UK, Switzerland, India, Singapore, Malaysia and more countries in South East Asia. He is based out of Palisade’s Europe office in London.